If you like to keep snack time delicious yet healthy, then you will love Carnation Breakfast Essentials®. They are a convenient and fast option for busy families, and they are available in ready to drink shakes, powders, and bars. You and your kids will love the powders, because they come in a variety of delicious flavors: Rich Milk Chocolate, Classic French Vanilla, Classic Chocolate Malt, Dark Chocolate Strawberry Sensation. And you will love them for their many nutritional benefits: 21 vitamins & minerals, 6 grams of protein, and as much calcium as a 6 oz cup of yogurt. 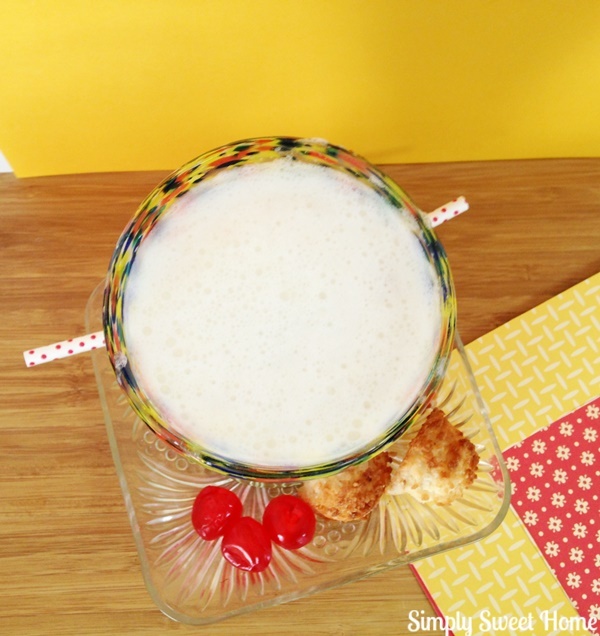 As we roll in to summer, I love making shakes, smoothies, and other cold, refreshing treats, and Carnation Breakfast Essentials® Powder is a great ingredient for this. I recently shopped at Kroger and picked up the Rich Milk Chocolate and Classic French Vanilla Varieties. Today I’m sharing two smoothie recipes that I made using these powders. 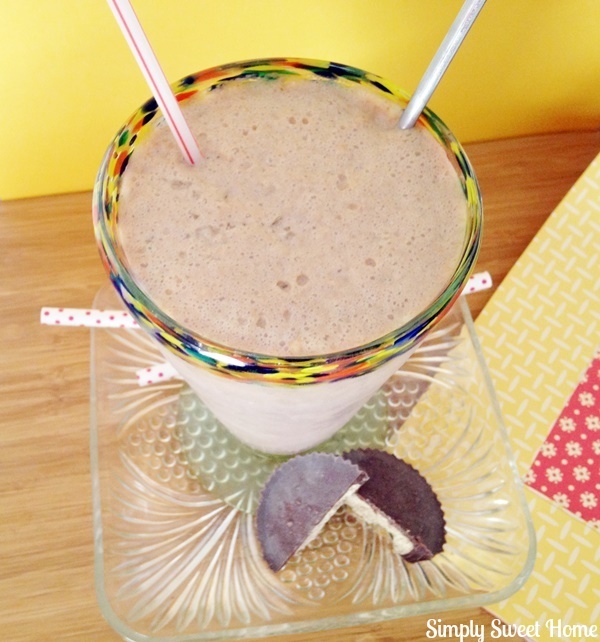 The first is a Chocolate Peanut Butter Smoothie. 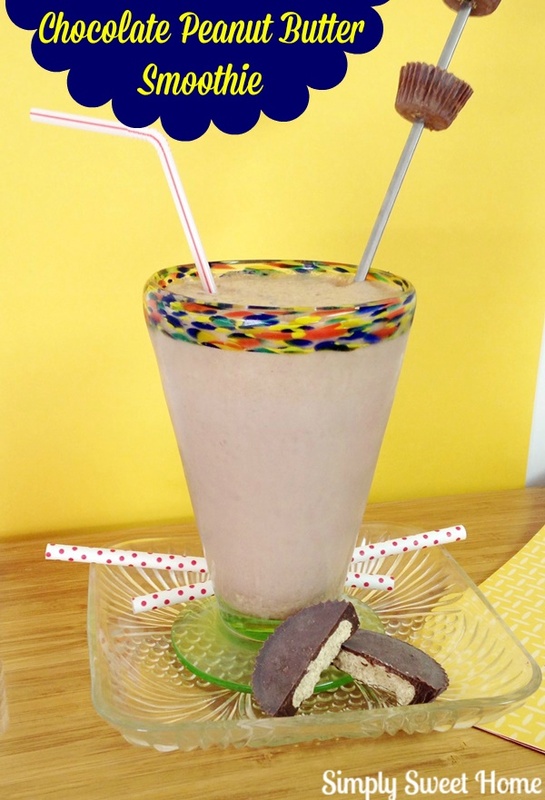 This smoothie is a peanut butter lover’s dream! Direction: Place all ingredients in blender, and blend on “Crush ice” mode. Serve Cold. Garnish with peanut butter cups. For a thicker smoothie, use only 1 cup of milk. If you would like a little fruit in your smoothie, try adding 1/2 a banana, or a few berries before blending. 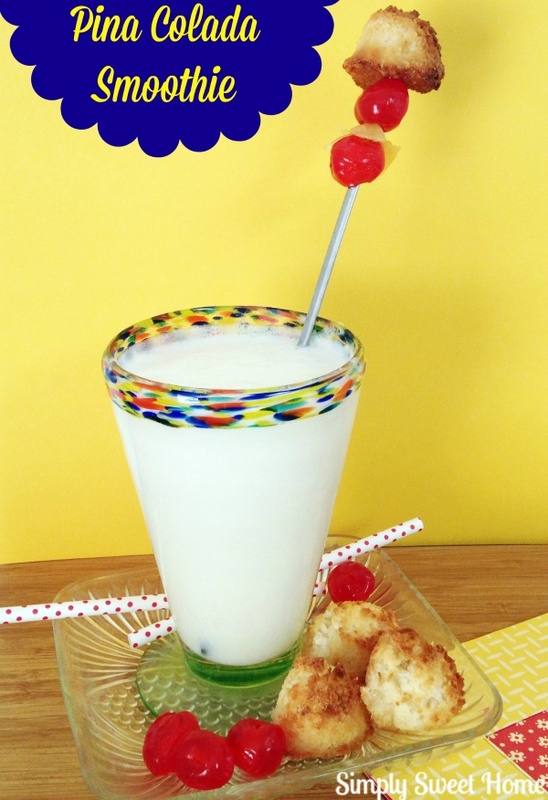 Next we have a Pina Colada Smoothie! I was amazed at how sweet and delicious this turned out! Directions: Place all ingredients in blender and blend on “chop ice” mode. Serve cold. Garnish with cherries, pineapple, and a little macaroon. For a thicker smoothie, use less milk. Want more fruit? Try adding a quarter cup of pineapple and/or half a banana. If the smoothie is a little sweet for your taste, try adding a little extra pineapple juice or crushed pineapple. For a money saving coupon for Carnation Breakfast Essentials, visit Kroger’s coupon page. 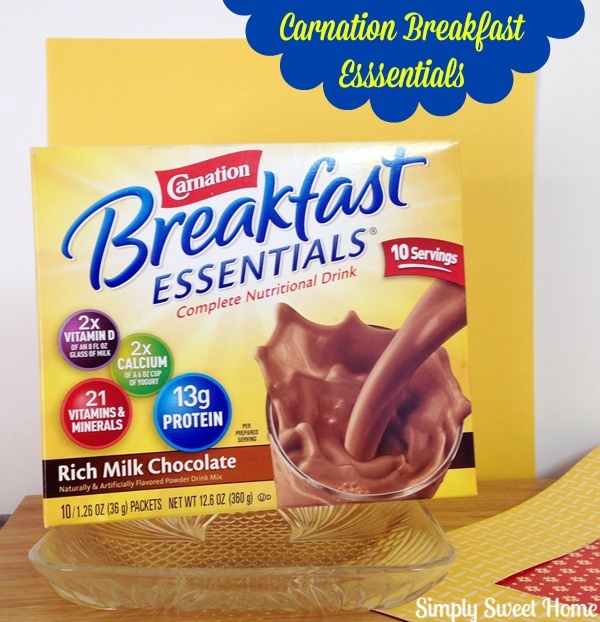 For more product information, recipes, and more, check out Carnation Breakfast Essentials on Facebook. G’day! I could go for one of these right now! Thanks again for joining Merry Mondays. Please email me if you don’t mind. I would love to share three observations I noticed trying to help you promote your blog. Marilyn1998@comcast.net. Thx!